Here is training (for U.S. and Internationally-based sellers) that I wish wasn't made available for such a low price (because it's that good). 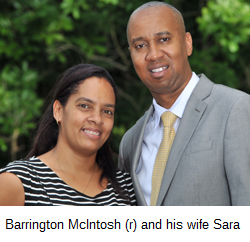 Barrington McIntosh is well-known in Amazon FBA seller circles. He's 100% legit, lives in Jamaica, sells a lot of products on Amazon, eBay, and elsewhere. Most importantly, he's a master of sourcing and selling coffee online for several years now. 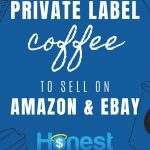 Selling coffee on Amazon* is NOT about flipping a can of Folgers from Walmart. This is about sourcing and selling niche or local or international coffees and/or creating bundles, etc. for big profits. Did you know there's HIGH demand (from around the world) for THOUSANDS of varieties of coffee (To wit: Some buyers want "Therapeutic" coffee in a light roast, organic and decaffeinated! Yes, consumers out there are demanding that). And coffee profit margins are excellent (when sourced and sold correctly - which is taught here). Please note that Coffee Masterclass works for sellers* from ANY country, however, it presumes you are already registered to sell on Amazon. (In other words, it doesn't teach you how to get started selling on Amazon. 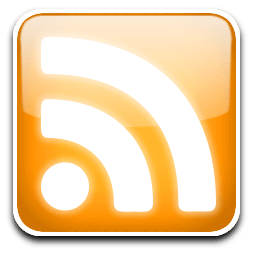 For that, get some free guides here if you're in the U.S.; Non-U.S. folks see this page). A 30-day 100% money back guarantee - backed by publishers McIntosh and Jim Cockrum. (I back this too: if there's ever a problem with you getting a refund (there won't be - but just in case), let me know and I'll help you out. Hi Jordam,we do not have amazon warehouses yet in Australia.Will this course still be ok for me?Brian. I just checked the course web site. It looks like the price has gone up, no longer $47. Now $297. When did that happen? I realize the value is probably there, but wondering what the reason is for such a large price increase. 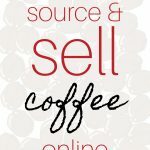 Is there still room in the coffee market on Amazon for a 3rd party FBA seller to build a new brand? Also, before I forget – the entire Coffee course is included (no extra charge) when you buy the Proven Amazon Course (which contains dozens of additional courses/trainings as well) for around $300 here. These days I am looking to get any good Amazon Fba course and suddenly I come across your Coffee Masterclass course as I don’t know much about coffee except sipping it but still my gut feeling is telling me that I should go for it. I am totally newby to Amazon and knows nothing about it and also lives in Pakistan can you think I can still earn from this training course. People from all over the world are making profits from that course, and it’s 100% risk free with an anytime money back guarantee. Course looks interesting, but does it require importing coffee to the US in order to utilize the teaching? And how difficult is it to get approved in the grocery category? thanks! Getting approved in the grocery category is relatively easy (the course will advise you on how to do that) and currently students are shipping coffee from everywhere in the world. The course is 100% risk free with an anytime guarantee, so I suggest you sign up now (before the price goes up), get all your questions answered. You can always request a refund if it’s not for you. Excellent article. My husband and I lived in Kingston from 1988-1993 because we are Assemblies of God Missionaries. I LOVE the coffee from Jamaica. I am strongly considering buying this. I have sold on eBay for 3 years and just recently am doing FBA Amazon. Still learning. I do not yet have the approved Grocery category but am looking into it. Thank you so much for great article. Next post: Can you make big profits selling USED shoes on eBay?